How will YOU Orange the World? 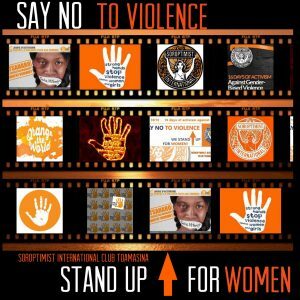 November 25th is the International Day for the Elimination of Violence against Women. 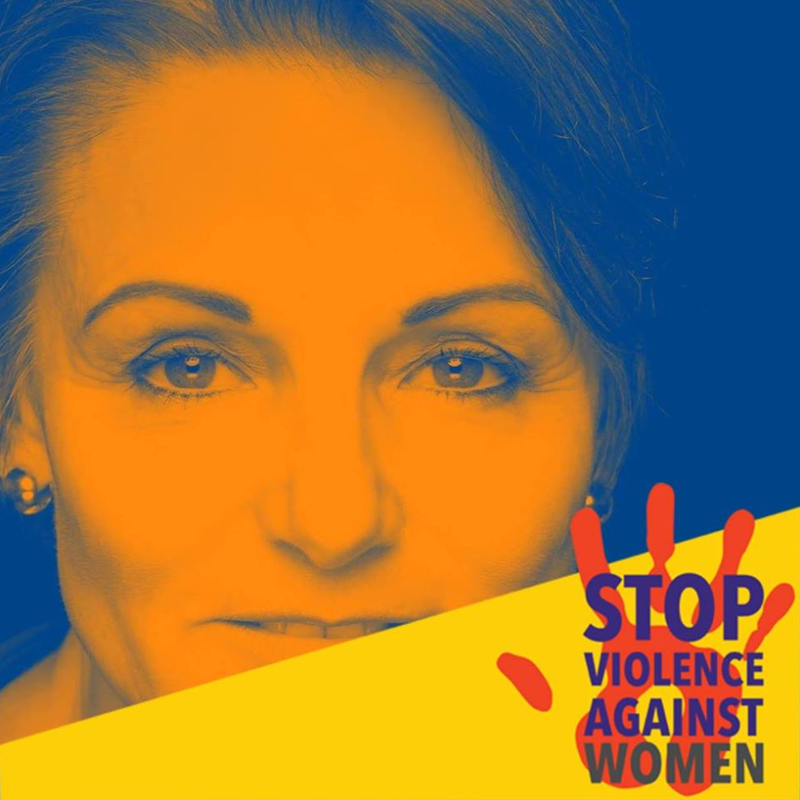 It marks the beginning of the 16 Days of Activism against Gender-Based Violence Campaign, an organising strategy by individuals and organisations around the world to call for the prevention and elimination of violence against women and girls which will conclude on December 10th, Human Rights Day. 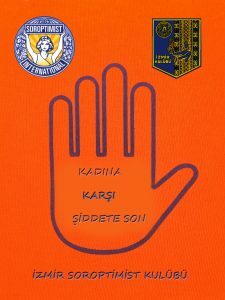 This campaign, also known as “Orange the World” campaign uses orange as the unifying colour throughout all its activities. It is a symbol of a brighter future, free from violence against women and girls. 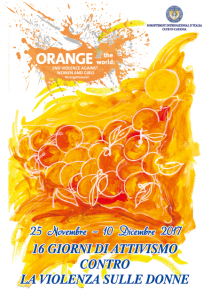 During these 16 days, civil society is encouraged to “Orange the World” through activities aimed at raising awareness of, or eliminating violence against women. 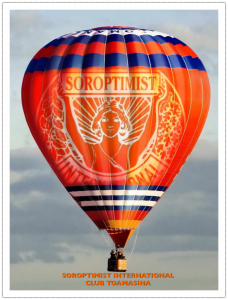 All Soroptimist Clubs across the Federation are encouraged to launch and participate in such activities. Here are some creative ways your Club can support the campaign! In March 2017, the Club started a crochet-bag course within our award-winning KIMIM project. 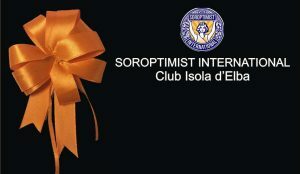 For Orange The World activities last year, the Club decided to produce orange mini-clutches, which may be decorated with Soroptimist and We Stand Up for Women pins and prepare mini cards explaining meaning of the 16 Days of activism. In honour of the International Day of the Elimination of Violence Against Women, this club was serving up some orange drinks at their event! The Club was in collaboration with some Novara restaurants and bars to promote the “Orange Plate.” On the menu for the whole month of November, diners would find a plate made with the orange delicacies typical of autumn. 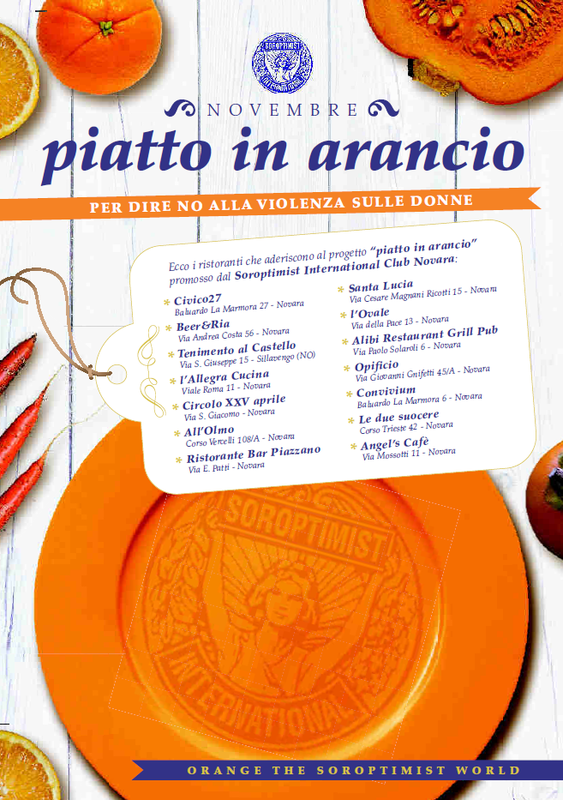 For each Orange Plate purchased, a contribution was made for the purchase of the Anti-Violence Kit to be donated to the Arms of Carabinieri of Novara. The Maramara Club won the Best Practice Award 2017 in the Violence Against Women Category for their project “Orange Heroes” in support of the HeForShe Campaign. 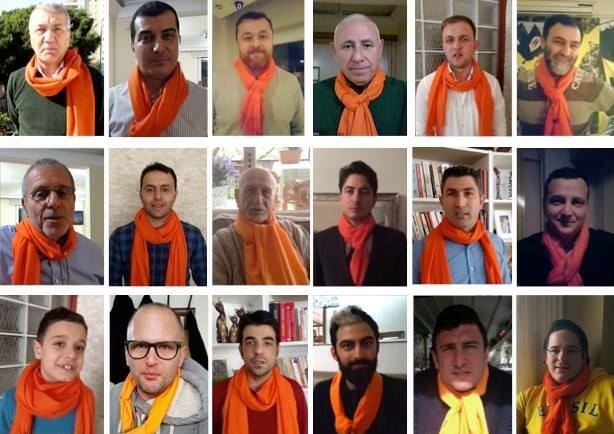 The project involved men saying no to violence on camera, while wearing orange scarves. 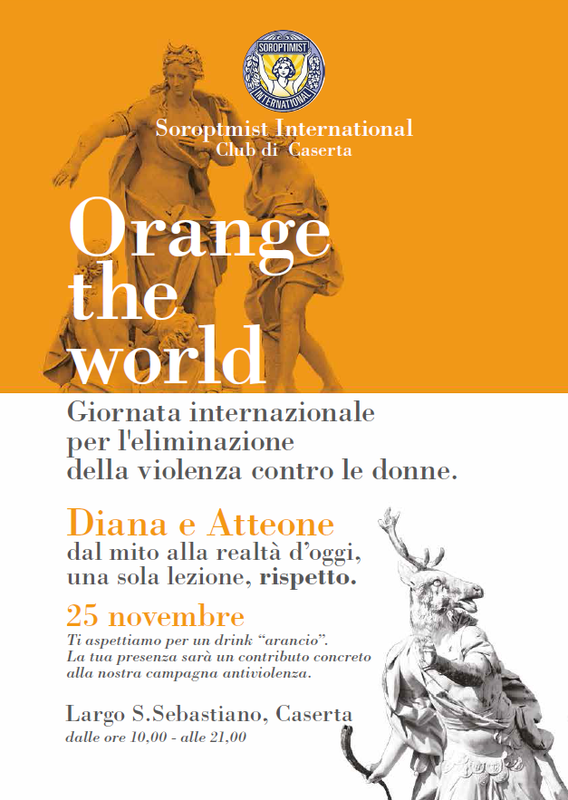 Wearing an orange scarf is a symbol that represents the wearer’s opposition to VAW, and many Soroptimists support this tradition each year. 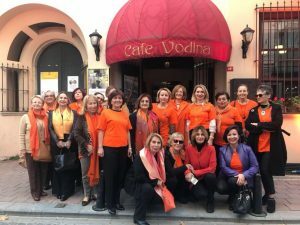 Members sat at a busy coffee with orange T-shirts to attract attention and raise awareness. They answered questions from the public on the topic of violence against women. Attractive and well designed dispersed publicly create a ubiquitous presence for the immediate need to eliminate Violence Against Women. 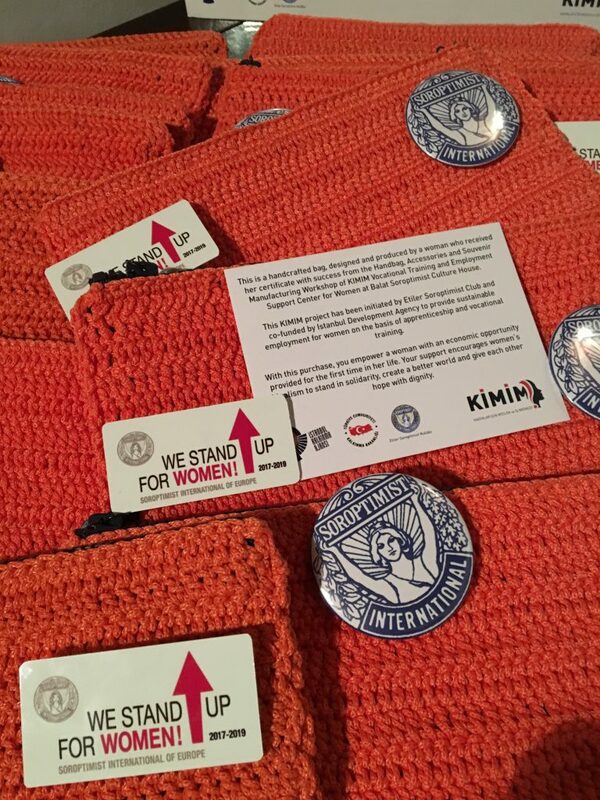 During a meeting on gender violence that the Club has organised, orange pins will be handed out. Anyone can wear them with pride to show their support for the “Orange the world” campaign. 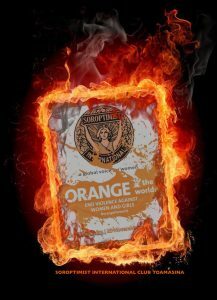 SIE President Renata Trottmann Probst will be oranging her Facebook profile picture and so can you! Many beautiful designs are available. If you like the one above, simply find and click on Renata’s profile picture on Facebook and select “Use Frame” on the bottom right corner. If you prefer another design, click here to add an orange banner to your photo and show your support to your network! Additionally, support the campaign by using the hashtags: #16Days #orangetheworld and #WeStandUpForWomen when posting about topics related to eliminating violence against women. In 2017, the Club created engaging visuals and shared them on social media, gaining wide support and many likes from the public! 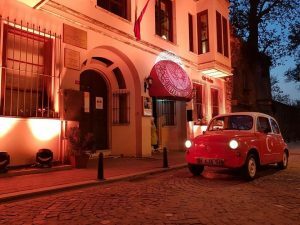 The Club illuminated the Balat Culture House using an orange light projection system and the Soroptimist logo.